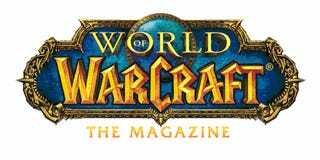 Publisher Future has teamed up with WoW developer Blizzard Entertainment for quarterly title World of Warcraft: The Magazine. Available in English, French, German and Spanish, the publication is sold via subscription only through World of Warcraft Account Management or from the mag's official site. The magazine is available as a one or two-year subscription, pricing for one year is US$39.95, 34.95 EUR or 29.95 GBP depending on your region — two year subscription packages cost $69.95 in the US, 61.25 EUR or 52.50 GBP. "Future produces some of the most respected gaming magazines in the industry, and we're pleased to be working closely with them to make World of Warcraft: The Magazine a true standout product," says Blizzard COO Paul Sams. "Together, we look forward to offering World of Warcraft players a great mix of entertaining and insightful content in every issue." The 148-page first issue will cover the fifth anniversary of World of Warcraft. Other Future publications include T3, Total Film, Digital Camera, Fast Car, Classic Rock, Guitar World, Official Xbox Magazine, Official Playstation Magazine, Nintendo Power, Maximum PC and MacLife.